Welcome to the Francotyp-Postalia Holding AG. Efficiency for the communications of our customers! Created with Sketch. We make the communication of our clients efficient - from printing, enveloping and franking to handing over to the carrier. Created with Sketch. FP now provides secure communications and services for more than 200,000 companies. Created with Sketch. FP is No.1 in the franking business in Germany and No.3 worldwide, with a clear strategy and new goals for profitable growth. 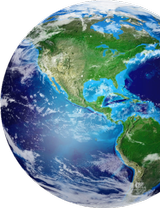 As a traditional company with headquarters in Berlin and a German Market Leader, we provide for our customers in over 40 countries and have around 1,100 employees worldwide. Created with Sketch. Since founding the company in 1923, we are continually reinventing ourselves: During the liberalization of the postal markets, we have developed from manufacturing franking machines to being experts for letter communication. 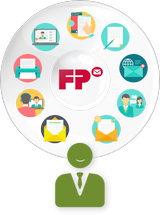 Today, FP serves all delivery channels associated with the letter. FP accompanies you in your digital transformation. Created with Sketch. The fourth Industrial Revolution and the associated digitization process, structures companies from the ground up. Created with Sketch. FP is actively shaping this profound change and is conquering new markets, with our customer-oriented, innovative products and services for the digital age. An overview of all FP products and services. Find an overview of all FP locations. Read more about interesting subjects. Get to know everything about our digital signature solution FP Sign. Stay updated about everything FP related.